I don't bake often but sometimes I get a little hankering for it. 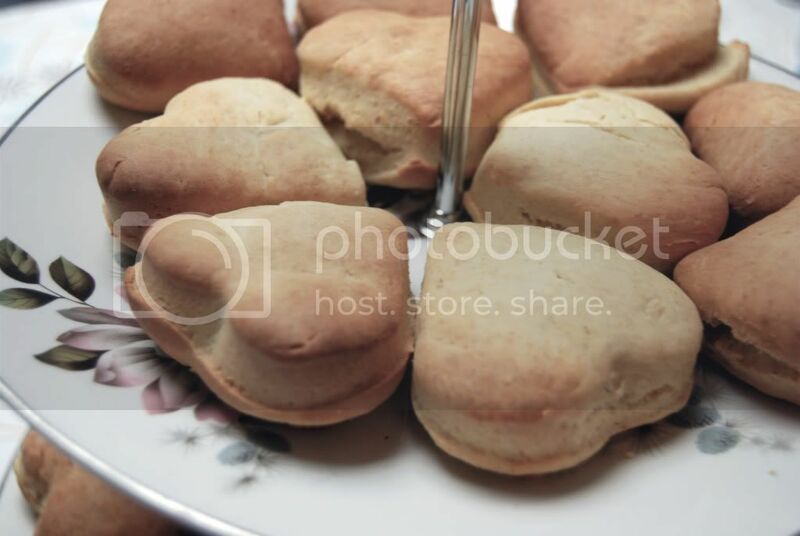 As we're having a street party today, I thought I'd make up a batch of heart-shaped scones. Whether you are a scone-to-rhyme-with-gone or a scone-to-rhyme-with-stone person (I'm the former, if you were wondering), you can't deny that the teatime treats are pretty well ingrained in our national heritage. Perfect for the Jubilee celebrations! 9. Bake for around 10 minutes. Remember to keep an eye on them so you don't overdo them! 10. Leave to cool and then serve! These look so yummy :). Omg, ur adorable! ^_^. I love ur kitchen and ur outfit is cute ^_^. Those look so good! And wow that kitchen is beautiful!